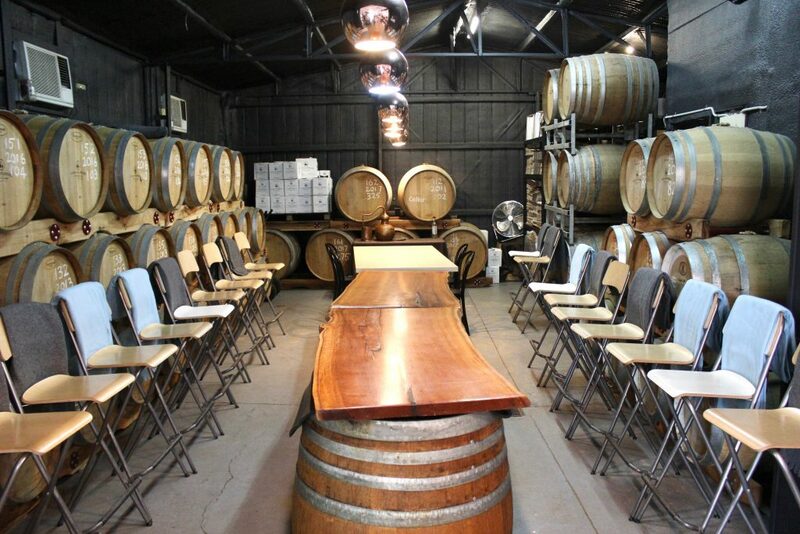 Barrel room tasting area at Bass & Flinders Distillery. If you’ve ever participated in a gin tasting before, you might have experienced the intense sensation when you place your nose into the glass and take in a deep breath. Feel the inside of your nostrils burning? So, what causes this? Ethanol. This is what most commercial distillers will use as the base for their gins. A completely legitimate way to make a great product. But at Bass & Flinders Distillery, they like to do things a little differently. It all started from the desire to establish a distillery that would create an aged grape spirit, made using local Chardonnay grapes, to produce a premium brandy. While this product was maturing in French oak for 5 years, they thought they’d play around with the base grape spirit intended for making the brandy, to create some other products – namely, vodka, gin, grappa and limoncello. This method of double distilling a grape-based spirit is called Charente, named after a river that runs through Cognac, France. Grape based spirits tend to have a unique mouthfeel, and a silky-smooth texture and flavour. This is what proudly sets the Bass & Flinders end product aside from the rest. Bar area at Bass & Flinders showcasing their hand-crafted selection of gins, vodka, grappa and limoncello. Traditionally, distillers will buy-in commercial grade ethanol, re-distil it, and infuse it with a blend of botanicals. A cheaper, quicker process with lower labour costs. At Bass & Flinders, all their spirits are made 100% on site in their somewhat tiny facility on the Mornington Peninsula, in 300lt pot stills, producing approximately 7000 bottles a year. An extreme amount of care and control is taken over each product created here. Even the lemons that go into their incredibly bright limoncello, are all hand peeled and hand zested. They’re a small but agile operation, and this allows them to get a little creative. 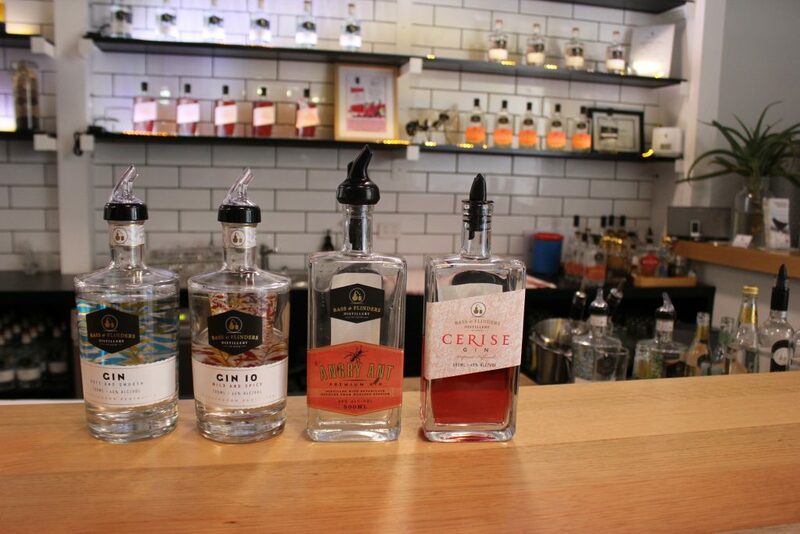 With products such as their Truffle Gin, using local Red Hill truffles, and in their newer release Cerise Gin which contains local cherries and raspberries. Each showcasing the bounty of fresh seasonal produce available on the Peninsula, and their ability to use them in a remarkable way that is distinctly Bass & Flinders. Hand crafted gins on pour at Bass & Flinders Distillery. The core range of classics are pretty unbeatable too. Gin – Soft and Smooth is their approachable and easy to drink gin. Made with citrus, angelica root and liquorice root, is as the name suggests, incredibly soft and smooth on the palate, without that harsh hit of alcohol you might expect from a gin with 40% abv. Gin 10 – Wild and Spicy on the other hand has an intoxicating blend of cardamom, native pepper berry and orange. A bartender favourite and ideal for making the perfect Negroni. One gin you should definitely not leave without trying when visiting Bass & Flinders though, is the hand crafted and hand numbered Angry Ant Gin. Made from a Shiraz spirit and hand-picked botanicals from Wooleen Station in WA, including Mulla Mulla, purple Vetch flowers, native lemongrass, sandalwood nuts and currant bush. However, there is another ingredient in the list that makes this product particularly unique…ants! Angry ants to be exact. Pheromones released by ants were used to compliment the botanicals used in this vibrant and exotic gin. Now do you believe us when we say they do things a little differently at this little distillery on the Peninsula? 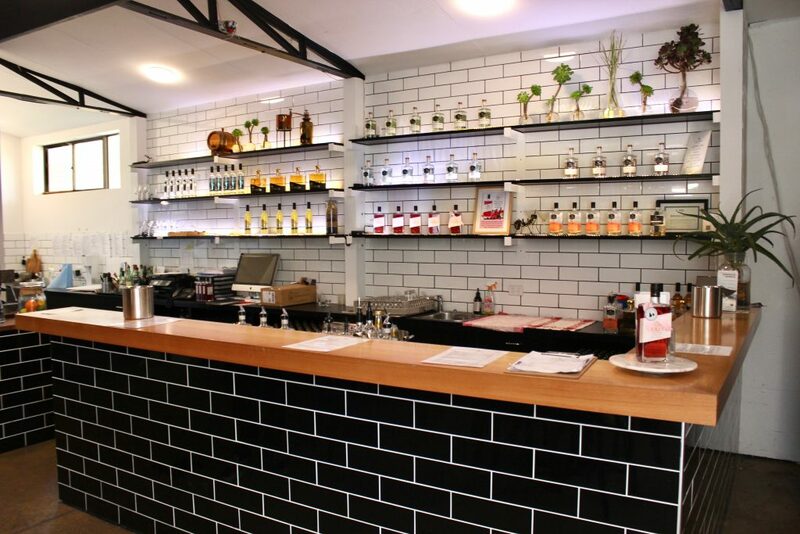 Proving not all gins are created equally, Bass & Flinders is a must visit when touring the Mornington Peninsula. Discover more of what Mornignton Peninsula has to offer with a Wine Compass tour today. Discover the Top Five Lunch Spots in the Mornington Peninsula. 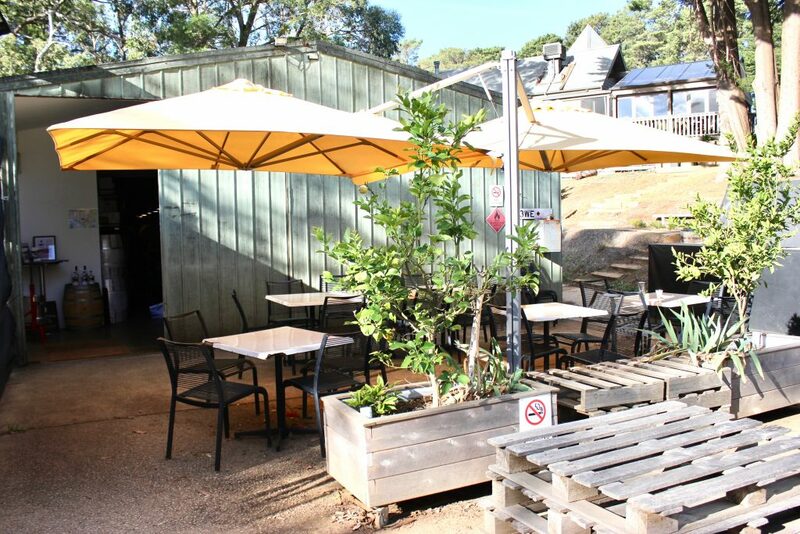 Outdoor seating area at the modest Bass & Flinders Distillery.